According to Wine Australia, their country boasts around 40,000 hectares of Shiraz - Syrah under vine which means 25% of overall plantings. And here's another fascinating titbit for you: apparently rotundone, a chemical compound found in black pepper among other things is the same one found in Shiraz giving the wines that renowned spicy peppery character, but about 20% of people aren't able to detect and taste it. So now you know. 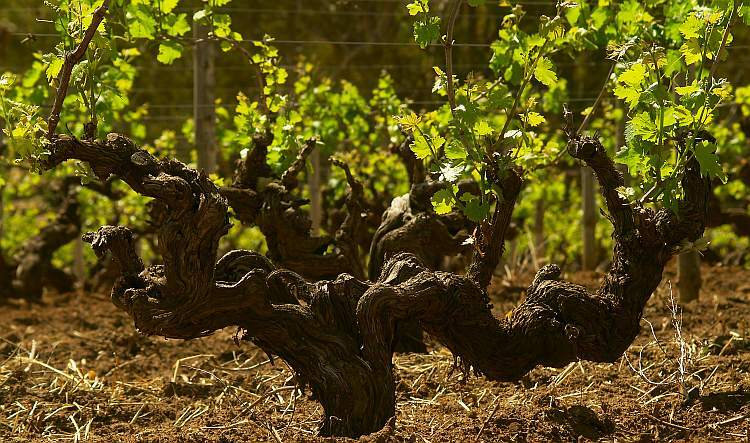 Over to the wines then: discover five very different and worthwhile Shirazes below coming from South Australia, Victoria and Canberra. 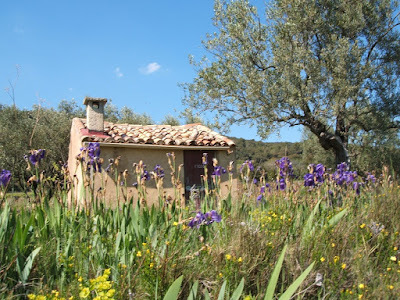 And a bonus one from the south of France (much better value too). Old vine Shiraz in Barossa by Wine Australia. Rabbit & Spaghetti Shiraz 2015 Adam Barton / Atlas Wines, Clare Valley (14.5% abv) - One of a series of Shirazes (also Barossa, McLaren, Adelaide 'super zone') made for the innovative on-liner Naked Wines 'supporting independent winemakers blah blah', this is a delicious classic mixing ripe dark berry fruit with spice, submerged oak and supple tannin texture finishing with a controlled bit of oomph. £14/£18 UK. Magpie Estate Tight Cluster Sparkling Shiraz 2012, Barossa - Woah! This one-off oddball sparkling red was made 'still' and oak aged before undergoing 13 months bottle fermentation and lees ageing (adding some fortified Shiraz wine as dosage!). Maturing savoury leather notes mingled with seductive dark chocolate flavours and fizzy of course. Only in Aus. £19.99 Boutinot Wines. Mount Langi Ghiran Cliff Edge Grampians Shiraz 2014, Victoria - From vineyards planted at 240 metres altitude, these guys have been making consistently exciting Shiraz for years and years. Rich and spicy, concentrated and powerful with lovely tannins, nicely integrated oak combined with lush savoury flavours vs well-balanced grip and punch to finish. Very tasty. £18.49 Bibendum PLB. Clonakilla Hilltops Shiraz 2015, Canberra - Planted at 650 metres on the Great Dividing Range, where I'm told they sometimes have frost problems! Quite oaky to start with minty peppery undertones, savoury meaty characters too with firm and smoky palate nuanced by wild dark berries and violets, grainy yet rounded tannins. Good although fairly expensive: £25 Liberty Wines. Langmeil Orphan Bank Shiraz 2013, Barossa - The name comes from them shifting old vines from the original vineyard to a new site, which 'mostly worked' apparently. Wow, big Barossa style. Dark and peppery, firm and powerful yet rounded, floral dark berries and chocolate merge with nice meaty notes, concentrated commanding finish. Woof, a classic with lots going on despite its full-on-ness. £44 Robb Brothers. Castelmaure Corbières 2015, Languedoc. Delicious example, made by the leading, wild middle-of-nowhere co-op winery Cave d'Embres et Castelmaure in conjunction with family mega-group Jeanjean, of the kind of red the French should be getting more of on our shelves. Actually a Syrah, Grenache and Carignan blend (with 14% abv), this deftly mixes up sunny spicy and herby fruit with fairly soft tannins, concentration and nice 'purity' too. £9 Tesco. Scott Peterson ROX Pinot Noir 2015 Sonoma Coast - Silky smooth Pinot with plenty of aromatic 'sweet and savoury' fruit, touches of vanilla oak but not overdone, nice supple tannins and 'lightness' despite its big 14.5% abv weight. £19.99/£14.99 Naked Wines $29.99/$17.99. Apparently Pinot Noir was among the very first varieties to be planted in Australia, but it was only really in the 1990s onwards that the variety gained momentum with the arrival of new clones and the planting of cooler sites. These two would be pretty typical of this. Crittenden 'Peninsula' Pinot Noir 2016 Mornington Peninsula, Victoria - Lovely perfumed Pinot nose and palate, elegant but with intense 'sweet/savoury' fruit, quite powerful yet soft and silky with fresh acidity; very nice delicate pure style, fair class. £21.25 Fields, Morris, Verdin. Stargazer Pinot Noir 2016 Tasmania - Planted in 2002 with a Swiss clone of Pinot (as you do). Light colour, closed up at first with herbal hints, turning to sweeter cherry fruit, fresh acidity and a touch of weightier texture on the palate, floral and tight finish; aromas develop with aeration. Good potential although dear @ £35, Enotria & Coe. Coteaux Bourguignons Pinot Noir 2015 (12.5% abv) - Fairly light with distinct cherry Pinot aromas and soft fruity palate. Törley Pinot Noir Rosé Száraz (= dry) 2016 Etyek-Budai (12.5% abv) - Tasty juicy and crisp with aromatic red fruits and creamier finish. 699 HUF = about £2 or $2.65 (taxes on wine must be low in Hungary). Takler Pinot Noir Rozé 2016 Szekszárdi region (12.5% abv) - richer coloured and textured rosé with plenty of fruit. 360 HUF per 100ml glass in the Pár Pendégló Panzió restaurant in Sárospatak. Continuing the varietal 'wines of the moment' theme (last time it was Riesling), Chardonnay is having a minor resurrection or holding its own at least - once so fashionable then eclipsed by Sauvignon Blanc and Pinot Grigio - which is a good thing as it's much more versatile style-wise than either of those two grape varieties (peachy, citrus, tropical, oaky, oatmeal, buttery, mineral, something for everyone...). According to Wine Australia: "Chardonnay is Australia's number one selling variety in the UK off-premise market," although admittedly "the best growth" is for "other whites," such as PG and SB... Here are three pairs of recommended Chardys from three countries in different styles and stores. Macon-Villages 2016 Gonter Nivelon (12.5% abv) - One of their posher Christmas special bin selection, this is a lovely example mixing ripe juicy fruit with yeasty edges and freshness too. £7.99 Lidl UK. La Manufacture Chablis 2015 Benjamin Laroche (12.5% abv) - Tasty classic style Chabbers with nice pure fruit and lightly creamy vs crisp finish. Naked Wines £19.99 UK / $29.99 US (without the Angels' discount). Bellingham Chardonnay 2015 Stellenbosch (13.5% abv) - Well-made barrel-fermented Chardy but not overtly oaky, with buttery hazelnut flavours, attractive palate weight and balanced finish. £11/£9 on offer Tesco. Mount Rozier Peacock Chardonnay 2016 Western Cape (13.5% abv) - Very good-value un-oaked style with tropical fruit and refreshing bite £7 Sainsbury's. Voyager Estate Chardonnay 2013 Margaret River, WA - Buttery and forward with light yeast-lees and toast, quite rich yet elegant, drinking well now. £21.99 Justerini & Brooks. Luke Lambert Chardonnay 2016 Yarra Valley, Victoria - Wilder-edged and cider-y 'natural' style nose with pretty intense, crisp lees-y mouth-feel vs light buttery flavours. Different. £24 Indigo Wines. It's been a while since this blog subjected viewers to an unbridled Riesling-fest - those who are that way included might like to click here for lots of Riesling-tinged links. So here's my pick of five £10+ bottles that effortlessly exude the variety's class and charm while all being subtly different, which were made in various regions of Australia, Chile, Germany and California respectively. Jamsheed Le Blanc Plonk Riesling 2015 Upper Goulburn Valley Victoria - Made from old vine Riesling with natural ferment in large old tuns and left on the yeast-lees for eight months. Ripe oily and lees-tinged with quite rich peach fruit and wilder 'real cider' notes, concentrated mouth-feel and full of character. £17 Indigo Wines, London (follow the link under the photo to find out the importer in your country, his wines are well distributed around the world). Grosset Polish Hill Riesling 2016 Clare Valley South Australia - Jeffrey Grosset's famous high-altitude Riesling, sourced from the eponymous hillside vineyard at 500 metres above sea level which I'm told is now organic, has also got fairly expensive nowadays. Lively 'chalky' style with attractive citrus and white peach, pretty intense and structured palate although not as austere as expected given its age and memories of previous vintages. Serious Riesling although it has been more exciting for the money? £32.99 Liberty Wines, London and Dublin. Cono Sur Reserva Riesling Especial 2016 Bio Bio region (13% abv) - I've tried this lovely Riesling from the southern end of Chile's main wine-growing zones (although the north-south spread has been getting further apart over the years...) over a few previous vintages (the link in the top paragraph shows where), and it seems to be getting better. Nicely mixes up trademark Riesling delicacy with oily perfumed lime notes and fairly rounded yet fresh mouth-feel. Good with Indian vegetable dishes (Bombay spuds, veggie rice etc. ), smoked salmon. £10.50 Tesco - £3 off at the moment too. Gerd Stepp Riesling Trocken 2015 Pfalz (12.5% abv) - Stepp really has mastered making this kind of 'modern' dry German Riesling style, which comes from the warmer Pfalz region (the Palatinate in old fashioned English) - he also does a couple of delicious wines for M&S (again follow that link at the top) - producing a riper fruitier fuller wine yet with hallmark racy 'chalky' palate too. £17.99/£12.99 Naked Wines. Richard Bruno Riesling 2015 Santa Lucia Highlands Monterey County - Not a region I'd heard of before - it's an AVA (American Viticultural Area) lying inland from the central coast - but obviously suits the Riesling variety well. Lots of aromatic citrus and peach with lightly oily edges and refreshing elegant finish. £12.99/£9.49 Naked Wines. In light of recent independence-aspiring events in the region, there will probably be as many who are unhappy as are happy with the post title above placing Spain and Catalonia together on one line separated by nothing more than a simple comma. That's enough topical politics on WineWriting.com, which will remain neutral except to say that there really are some delicious examples of the classic Catalan fizz out there offering great value for money, especially if you pay a little more for better bottles such as Vintage or Brut Nature styles. Here are three worth talking about that have been sampled and enjoyed recently by RMJ and the tasting team (= willing partner), all of them with a refreshing 11.5% abv. 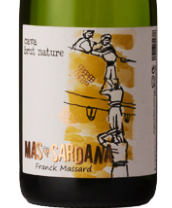 Mas Sardana Cava Brut Nature, Franck Massard - 50% Xarel.lo, 25% Macabeu, 25% Parellada; +12 months ageing on the lees, less than 2 gr/l residual sugar. Very tasty crisp and dry style (no added sugar in the dosage) with floral citrus nose vs hazelnut and toasted brioche notes. Naked Wines £13.49/£9.99, Great Western Wine £13.50, Wines Direct £13.49, the Fine Wine Company £76.89 x 6. Freixenet 2015 Vintage Especial Cava Brut - Same varieties as above, this is supposedly made from a special selection of high altitude grown grapes. Subtle yeasty toasty aromas mix with ripe citrus and peach, fresh and lively finish. Serious bargain: £7.49 B&M Belfast. Marques del Norte 2015 Vintage Cava Brut, Jaume Serra - Same grapes. A touch more aromatic and apply than the above, delicate and satisfying with light yeasty tones. Asda £7.48 / £6 on offer. By the way, Tesco's and Mark's own-label non-vintage Cavas are both good value too, particularly Tesco's yellow label Cava Brut for £5.55 (also produced by Jaume Serra). MUCH MORE POSH CAVA IN MY MINI-GUIDE HERE. 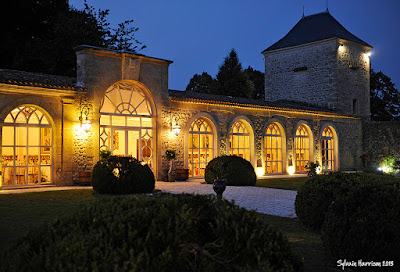 Including lunch from the hotel's bar menu with wine, a comprehensive course manual and at least a dozen high-quality classic wines sampled and talked about in a relaxed atmosphere. This general introductory Saturday wine tasting workshop will feature 12 or more classic styles from around the world's best-known wine regions and grape varieties that exemplify where they are grown and how they are made. More info can be found on the WES site HERE. Runs 10.45 to 16.30 approx with lunch break. We'll pick three or four (depending on numbers) pairs of varietal wines made from popular grape varieties, each pair being the same variety but sourced from different wine regions. For example, comparing Sauvignon Blanc from the Northern and Southern Hemispheres, Aussie Shiraz vs French Syrah, German Riesling up against a surprising rival or two Pinot Noirs from contrasting vineyards. 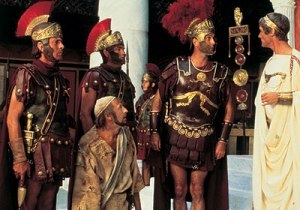 Runs 18.45 to 20.30 approx. Thursday evenings April 5, 12, 19, 26 and 3 May 2018 from 6.45-8.30pm. Six great wines tasted each session covering the world's famous wine regions, grape varieties and winemaking styles, as well as some lesser-known examples. 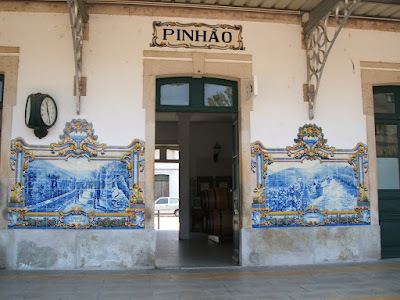 We'll also talk about tasting, enjoying and keeping wine, how different types of wine are made and how climate and what goes on in the vineyard shape them as we go along each week, in addition to many other general topics. Course manual included. Full details can be found on the WES site HERE. Click here for more about PayPal payments and your privacy. WES terms and conditions apply, which will be emailed with your invoice or can be viewed on this blog HERE. Wine Education Service NI does not sell wine - our wine tastings and classes are designed to be purely educational and informal while focusing on getting more enjoyment out of tasting wine; we source high quality representative samples from a variety of different retailers. A recent purchase from Naked Wines (UK) made by Troupis Winery, called Fteri Moschofilero 2015 from the Mantinia area (the Moschofilero variety comes from here) in the PGI wine region of Arcadia (£11.99/£8.99), reminded me that I never did write anything about a holiday trip to the Peloponnese one year ago including a quick visit and tasting at Domaine Skouras near Argos. The Troupis Moschofilero is tasty and intriguing, nicely mixing up rich flavours and texture with a floral and almost 'salty' freshness, and is attractively light at 12% abv. My resurrected tasting notes reveal that Skouras' Salto Moschofilero is also sourced from Mantinia from hillside vineyards at 600 metres altitude and made by wild ferment, producing a refreshing elegant (11.5% abv) yet intense crisp white with zesty 'mineral' notes (€9.10 for the 2015). Other recommended whites from Skouras include: a very nice well-balanced barrel-fermented Chardonnay called Almyra (13.5% abv) from coastal vineyards near Corinth (€9.80 for 2015); and a lush exotic Viognier called Eclectique, grown at 300 metres near the ancient city of Argos (where you can find a good range of TVs and washing machines too, ho ho), which is a bit oaky but again has good bite (€21). Export guy George Svanias (pic. in their tasting room) said the Skouras family started the winery in 1986 "as a garage operation before they bought vineyards." They then purchased vineyards mostly on the Nemea hills to the north of Argos but also some here around the new winery completed in 2004. George said they use the approx. 1000 barrels in the cellar three times, which are mostly French oak although they mature Syrah in American oak. "We do six months' minimum ageing for our reds, and the top wines get over 18 months (in barrel)," he explained. He told me they sell all their production at the moment, with key export markets like the US doing quite well (Diamond Importers in Chicago). Over to their reds then. Saint George is made from 100% Agiorgitiko (the English translation of this common red grape variety in this region) grown at up to 650 metres in Nemea and Corinthia; the 2013 was fairly light and tasty with nice spicy fruit (€7.70). The Grande Cuvée Nemea Agiorgitiko (€14.60) comes from selected blocks at around 1000 metres above sea level; the 2013 showed smoky oak with concentrated firm palate yet silky tannins. The same vintage of Megas Oenos, a Agiorgitiko and Cabernet Sauvignon blend, was good and rich although a tad too oaky (€16.50). Skouras also produces a high-altitude, attractively deep-coloured rosé from 70% Agiorgitiko and 30% Moschofilero (€4.90). A couple of other recommended Greek wines from my travels are: 2014 Agiorgitiko red from Nemea made by the well-known Tselepos winery (bought at Athens airport, I can't remember how much but reasonably priced); and a classic 2015 Chardonnay from landmark producer Domaine Hatzimichalis (picked up at a supermarket somewhere), not based in this region but in central Greece to the north-west of Athens. Domaine Bégude Le Secret du Sud Gewurztraminer 2016 Pays d'Oc (13.5% abv) - The Gewurztraminer variety has obviously adapted well to this beautiful spot in the hills just north of Limoux (off the road to Carcassonne); this delicious example is full-bodied and rich-textured with the trademark rose water and lychee characters, tasty rounded and exotic yet has a little 'chalky' freshness on the palate too. Expensive although you wouldn't easily find a similar quality Gewurz from Alsace for much less. £11.99 The Vineyard, Ormeau Road, Belfast. Very nice with scallops and Clonakilty pudding starter at Graffiti restaurant across the road (BYO). Sassi del Mare Falanghina 2016 Beneventano IGT (12.5% abv) - One of southern Italy's most seductive white grape varieties, this Falanghina, grown on the Campania region hills is ripe honeyed and 'oily' with apricot and hazelnut freshened by a lighter touch and bite on the finish. Bargain: £5.99 Lidl. Sangiovese Rosé 2016 King Valley, Australia (13% abv) - Tasty full-flavoured rosé style from north-eastern Victoria balancing sweet red fruits, lightly creamy texture, quite weighty mouth-feel and zingy finish. Might be made by De Bortoli although Asda doesn't say who on the label: £8.98, one of their 'Extra Special' range. Zalze Shiraz Mourvedre Viognier 2016 Western Cape (14.5% abv) - Powerful spicy yet quite soft red made by reliable SA winery Kleinzalze (I also like their Chenin blanc white) that would go well with al fresco food, BBQ etc. Ripe berry fruits and rounded palate with peppery aromatic hints. £7.48 Asda. Dom Maxwell The Bloom 2016 - An aromatic towards exotic yet zesty and quite dry blend of Riesling and Gewurztraminer from Waipara region (near the coast north of Christchurch on South Island). Went well with a mix of Indian dishes (especially tandoori fish) although not too spicy. £14.99 / £9.99 ? 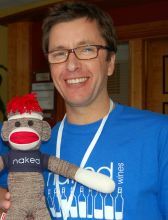 (currently out of stock) Naked Wines (you have to become an 'Angel' and invest £20 a month to get the special prices - check out their website for background on Naked's winemaker funding strategy). Villa Maria Private Bin East Coast Chardonnay 2016 - Very reliable subtle Chardy with lightly buttery nutty side and underlying freshness. Widely available for about £10. Coolwater Bay Pinot Noir 2014, Marlborough from Endeavour Vineyards - One of Sainsbury's 'Taste the Difference' labels, this is good value Pinot with nice perfumed fruit and silky texture. £10 (sometimes on offer at £8). Lay of the Land Ben Morven Farm Pinot Noir 2015, Marlborough, made by Mike Paterson (pic. from www.nakedwines.com) - Tasty Pinot balancing elegance and easy-drinking style with a little depth and class: fragrant cherry fruit with fairly soft mouth-feel and fresh bite to finish. £18.99 / £12.99 (see comment above about Naked Wines' prices: these wines are probably available on their US site too). This pick of Australian 'wines of the moment' might challenge your perception of what could be perceived as 'classic'. Or maybe not; but they do show there are plenty more interesting Aus wines out there, usually from lesser-known and more 'distinctive' sub-regions and/or using quirkier winemaking, that stand out from the shelf-filling brands (even if one of them is)... (Updated 22/04/17). Limestone Coast Chardonnay 2015 'Exquisite Collection', South Australia (14% abv) - Makes a literally refreshing change to find an oak-free Oz Chardy, this one is nevertheless full-bodied and oily textured with lots of ripe citrus, peach and melon fruit, but nicely balanced and good value too. €8.69 Aldi Ireland / £5.79 UK. Campbell's Rutherglen Muscat 'Liqueur Wine', Victoria (17.5% abv) - 'Classic' in some ways (and Rutherglen is a demarcated wine zone), as in a very old-fashioned time-honoured Oz style, but hardly in the sense that most people would recognise, it takes a little courage to try it (especially as the price will inevitably limit its appeal). Made from late-picked Muscat grapes and aged for many years in a 'solera' type cask-maturation process (blend of different years). This is a superbly luscious and complex dessert wine with raisins, cooked marmalade and tangy roast walnut/pecan nut flavours. Try with blue, unpasteurized matured or goats' cheeses, fresh black coffee or drizzle a bit over plain vanilla ice cream. £14.99 half-bottle Grange Wines, Holywood and other good wine shops. Photo from campbellswines.com.au. Ringbolt Cabernet Sauvignon 2014 Peter Gambetta, Margaret River, Western Australia (14.5% abv) - Offers a fair bit of class and depth for the money, with more restrained blackcurrant and plum flavours, light coconut oak spice and nicely textured tannins. Tesco £10. Frankland River Shiraz 2014 Ferngrove Vineyards, Western Australia (aged in French oak) - Closed up to start, fairly dense and textured, quite subtle actually but definitely with Shiraz-esque peppery fruit; needs a little air to open up and some BBQ-ed food maybe. £11 Marks & Spencer. Jacob's Creek Sparkling Shiraz Dry Cuvée, South Eastern Australia - Fun frothy red, a bit strange at first if you've not tried it before but very nice in the end; off-dry finish I'd say. £10 Sainsbury's. The Gum Vineyard Shiraz 2015 The Lane, Adelaide Hills, South Australia (aged in French oak) - Another more restrained style, spicy berry fruit with good depth and structured finish. Quite expensive although sometimes on offer: M&S £15. Barossa Petit Verdot 2013 Chateau Tanunda, South Australia (13.5% abv, 18 months in French oak) - Deep coloured still for its age, spicy with ripe red pepper and cassis/damson followed by savoury and roast coffee hints, nice chunky texture yet maturing/softening too. Good with Cantonese duck in black pepper sauce. £10 M&S. Stellenrust Chenin Blanc 2016, Stellenbosch region (13.5% abv) - This famous and long-established winery (vineyards here dating from the late 17th century they say) is pretty good at a variety of Chenin styles. This one's ripe and rounded with exotic honeyed edges vs nice zesty citrus and yeast-lees notes on the finish. Good value for flavour. £7 (on offer)/£8 Sainsbury's. Cornelia White 2015, Swartland region (Chenin blanc, Roussanne, Verdelho, Viognier; 13% abv) - Made by Adi Badenhorst, who's also a bit of a star for quirky white blends like this: attractive mix of oily texture, peach and apricot fruit with fresher spicier undertones and concentrated too. £10 Marks & Spencer. Jan & Johan Old Vine Cinsault 2015, Paarl region (14% abv) - Tantalizing mix of lightly wild and perfumed berry fruits with fairly soft mouth-feel yet weight and roundness too. There's still a good deal of old vine Cinsault in parts of South Africa, like in southern France, although much of it has been pulled up. €8.99 Aldi Ireland. 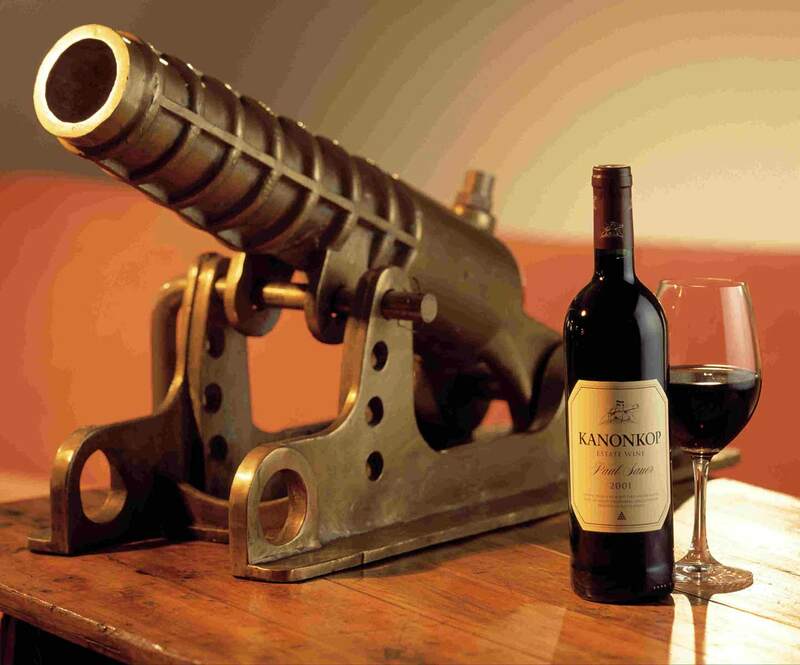 Kanonkop Kadette 2015 Cape Blend, Stellenbosch region (about 50% Pinotage, Cabernet Sauvignon, Merlot, Cabernet Franc; 14.5% abv) - This is their 'junior' red blend of these four varieties, which is something of a house specialty, offering lots of flavour and style for the money. Smoky red pepper notes mingle with blackcurrant, dark plum and spicy oak (14 months in French barrels); quite firm and structured still with power and concentration on the finish, nice texture and depth of fruit though. £8 (on offer)/£10 Sainsbury's. Bellingham The Bernard Series Basket Press Syrah 2014, Stellenbosch region (14% abv) - Bellingham winery seems to be good at this sort of wine (also has 2% Viognier, all barrel-fermented together in open-top casks): touches of oak and solid and dense to start, but reveals lush dark spicy fruit with savoury edges; pretty classy red. £13 Sainsbury's. Graham Beck The Rhona Brut Rosé NV, Méthode Cap Classique, Western Cape (Pinot Noir, Chardonnay, Pinot Meunier; 12.5% abv) - Beck is up there among South Africa's finest fizz makers, this sumptuous Champagne-style rosé bubbly is rich toasty and yeasty with aromatic brioche and red berry notes, intense and stylish with fresh bite balancing it out nicely. Yum. £15 M&S (sometimes £12 on offer). I lifted some of this information from wikipedia.org/wiki/Syrah who lifted it from The Oxford Companion to Wine and other sources listed at the bottom of that webpage. Gabriel Meffre Saint-Joseph Les Chaponnes 2012, Northern Rhone Valley - Delicate and mature (2012 was a lighter vintage) with savoury edges. €15/£12 Supervalu. Domaine de la Baume Syrah La Jeunesse 2015, Pays d'Oc, Languedoc - Good-value example of the un-oaked styles coming from southern France: black cherry/berry, peppery, weighty and firm-ish but drinking nicely now. €10/£8 Supervalu. Domaine Bellavista Roméo 2016, Côtes Catalanes, Roussillon - a new wine, lively dark and spicy Syrah made without added sulphites. Chateau de l'Ou L'Ove 2015, Roussillon - Very tasty Syrah with nice 'chalky' tannins vs spicy black cherry. Quite dear though, if it is €20 - the online shop on their site is a bit of a mess (shows reds but says whites...). Clot de l'Oum Le Clot 2014, Côtes du Roussillon Villages Caramany ('majority Syrah' block selection at altitude) - Also a fairly serious price but a serious wine too, this has lovely aromatic minty black cherry with fresh and herbal vs ripe and rich profile, structured vs lots of fruit. €18.90 cellar door. Tenuta Rapitala Syrah 2015, Sicily - Another attractive Med style with understated spicy blackberry fruit vs firm dry-coated texture. £9.99 The Wine Company, Ormeau Road Belfast. Los Molles Syrah Reserva 2014 Tabalí Winery, Limarí Valley - Very dark inky colour, concentrated black and blue fruits, quite dense firm and fresh but nice roundness too, savoury black olive flavours on the finish. Very good. £11 Marks & Spencer. Boom Boom! Syrah 2014 Charles Smith Wines, Columbia Valley, Washington State (+ 3% Viognier) - A little more on the wilder side and well-handled with it, lovely smoky fruit, depth character and texture (cask-aged but no new oak). Aiming at Northern Rhone styling especially with that splash of Viognier (c.f. Côte Rotie). £15.99 The Vineyard, Ormeau Road Belfast. Bellingham 'The Bernard Series' Basket Press Syrah 2014, Stellenbosch - Bellingham winery seems to be good at this sort of wine (also has 2% Viognier, all barrel-fermented together in open-top casks): touches of oak and solid and dense to start, but reveals lush dark spicy fruit with savoury edges; pretty classy red. £12 Sainsbury's. Frankland River Shiraz 2014 Ferngrove Vineyards, Western Australia (aged in French oak) - Closed up to start, again dense and textured, quite subtle actually but definitely with Shiraz-esque peppery fruit; needs a little air to open up and some BBQ-ed food maybe. £11 Marks & Spencer. The Gum Vineyard Shiraz 2015 The Lane, Adelaide Hills, South Australia (aged in French oak) - Another more restrained style, spicy berry fruit with good depth and structured finish. Quite expensive although sometimes on offer: Marks & Spencer £15. Biodynamic estate based in Chaintré in the far south of Burgundy (pic. opposite). Three vintages of their Beaujolais blanc: the 2010 was lovely and buttery, well balanced and classy; the 2008 (also a great vintage I believe) had similar buttery flavours, nuttier too and mature now; and their 2012 showing very nice 'Chablis styling' balancing creamy fruit and freshness. Lying to the west of Cornin in the little village of Leynes, this estate is owned by the De Boissieu family and is also certified organic and biodynamic. Beaujolais blanc 1998 - very tasty white: buttery and oaty and still alive. Beaujolais rouge 2001 (not sure which one, they make three reds from Gamay) - attractive mature Burgundy style. 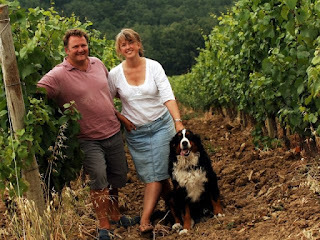 Organic winery located in Châtillon d'Azergues, 25 km north-west of Lyon, run by Jean-Gilles, Christiane, Claire and Fabien Chasselay. Beaujolais blanc 2012 - oakier style but tasty with nice oaty creamy notes vs fresh bite. Including lunch from the hotel's bar menu, course manual and at least a dozen high-quality classic-style wines tasted and discussed, which will be sourced from across the southern hemisphere wine-producing nations and North America. STILL A FEW PLACES LEFT! Six to eight (depending on numbers) different wines from around the world - France, Australia, Chile, South Africa etc. - all made from the world's most popular red grape variety. 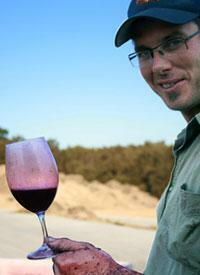 So why do the French say Syrah, the Aussies say Shiraz and others say both? NEARLY SOLD OUT! Including lunch from the hotel's bar menu, course manual and at least a dozen high-quality classic varietals tasted, compared and talked about... We'll pick half-a-dozen or so pairs of wines made from the world's most popular grapes, each pair being the same variety but sourced from different wine regions: e.g. New Zealand Sauvignon Blanc vs Sancerre from France, Australian Shiraz vs Syrah from Chile or South Africa... Approx. 10.45 to 16.45 with lunch break. 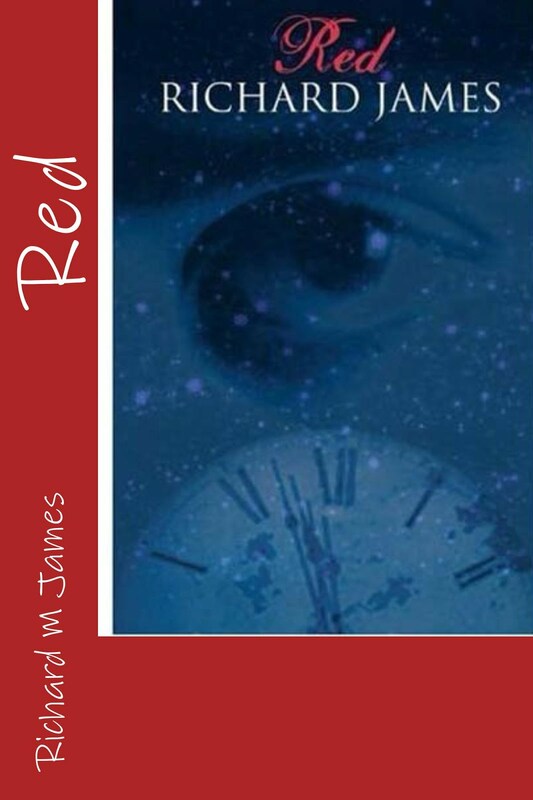 POSTPONED TO THE END OF SEPTEMBER - SEE MORE RECENT POST ABOVE.